After you print in AutoCAD, there is a little annoying notification that stays open in the bottom right of the screen until you click to close it. This is the default setting. This setting can be changed so that it stays open for a designated amount of time. 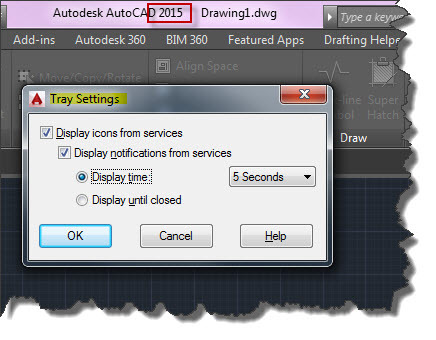 I have made a post about it before but the method of invoking the dialog box in that old post (found here) is no longer available in AutoCAD 2015. 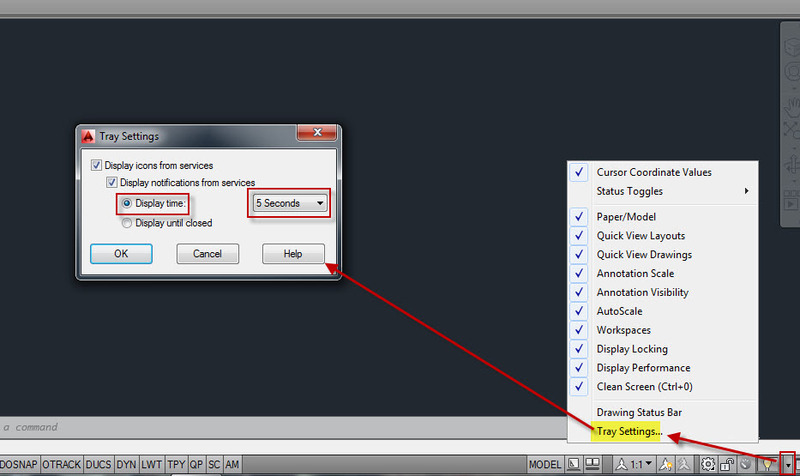 But luckily, there is a command to get to the “Tray Settings” dialog box. 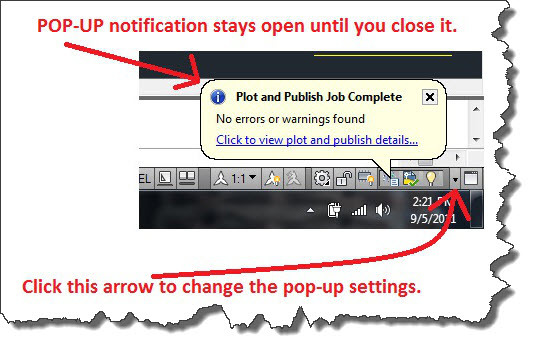 Here is an example of the “annoying” pop-up that stays open until you close it. This blog serves as a knowledge base for myself (and anyone else) so that I can reference tips & tricks that I have learned and also refer others to it as well. I hope that this blog helps you learn at least one tip to make your drafting/design experience better. This entry was posted in BASICS, Customization, New in 2015, Printing - Plotting, TIPS. Bookmark the permalink. I stumbled across your blog a while back and just made use of this tip. Thank you very much for these posts!